I used to be a pastor. For 10 years I led a multicultural church in Hong Kong while working as a over-achieving business school professor. I worked six days a week teaching and supervising PhD students and I preached on Sundays. It was an unsustainable lifestyle and eventually I crashed and burned. I was forced to rest, and in that place of inactivity and inability, I learned a few things about grace. I began to write and Escape to Reality (E2R) was the result. Telling people about the grace of a good God is now my full-time occupation, and I couldn’t be happier. Everything else was training; this is what I was born to do. I write so that you may know that there is no bad news in the good news, and that life without Jesus is like a frame without a picture. C.S. Lewis said, “Reality is something you couldn’t have guessed.” You could not have guessed that God loves you even when you’ve messed up or that his grace is greater than your mistakes. Life isn’t about keeping the rules or pleasing the boss or paying the bills. Real life is the adventure of learning who you truly are – a dearly-loved child of God. If you want to explore the vastness of your Father’s love, you’ve come to the right place. If you want to learn how to walk in the freedom of God grace, I encourage you to become an email subscriber (it’s free). I’m a born and bred Cantabrian who grew up in the great state of Western Australia. I’ve lived in Asia and California and I now live in Auckland. If you’re interested, you can keep up with my news on Facebook, Twitter, Instagram, or Goodreads. I’ve written briefly about my own grace journey here. Camilla is my first, best and last wife. We were married in 1999 and each year has been better than the last. We have four amazing kids. If you would like to support my work, read this. If you want to invite me to speak, read this. My books on grace have been published in a dozen languages and have won several awards. If you want to pick my brains on how to become a semi-successful self-publisher, I have compiled some notes and resources here. If you’re looking for a short bio or photo you can use in your newsletter or magazine, go here. E2R went live on 5 February, 2010. Published articles are indexed by scripture and subject. Check out the archives for more or use the search boxes in the sidebar and footer of this page. E2R is a reader-funded website, which means everything here is free thanks to the generosity of people like you. If you like what you see and want more, I encourage you to sign up on Patreon. Not only will you help the good news of grace reach more people, but you’ll get exclusive access to bonus materials and forthcoming book chapters. What am I working on now? Read the latest article to find out. Found something you like on this site? Feel free to click the “Share” buttons found under every article. Use those button and you won’t need to read the Copyright Policy, which is relevant for other forms of sharing (e.g., book excerpts, magazine reprints, and church newsletters). Got something to say? The comment policy page will show you how to say it to best effect. Enter your email address to get your free Grace Pack and receive notifications of new posts by email! Discovering what God had in mind before time began brings nobility to human existence (2 Tim 1:9). It is indeed God’s glory to conceal a matter but the honor of man to seek it out. Regards from our family to yours. I was sent your blog (teaching by Derek Prince) by a friend. I am amazed to find the good stuff you have on your site. I haven’t read all the articles but really like the ones I have. I too was leading a church (in the midlands in the UK) up until 2 years ago. Now doing trans local stuff so we have recently built our web site. Still need to add teaching material. The stuff I have recorded in the past is really poor sound quality so we will do new stuff. We too have a passion to see people free from the spirit of religion, condemnation and sin consciousness. What a pleasure to find a like-minded crusader. I am also a believer in the perfect work of our Lord Jesus Christ. The teachings of JP have reassured me of this fact and also brought back the fullness, freedom and joy I had when I first recommitted my life to Christ. I recently noticed something which almost appeared like a contradiction in the New Testemament which I hope you can explain a bit better to me: when comparing the writings of Paul in Romans and those of James, where James writes in James 2v14-26 that we need to have works to perfect our faith and then he refers to Abraham taking Isaac to the alter, an act which together with Abraham’s faith made him righteous. Paul again in Rom4 teaches us that Abraham was made righteous by faith alone. Can you please shed some light on this? Good to meet you! I’ve just started a series unpackaging James 2 in light of Romans 4. I hope it helps. I was just searching the web to find some background information for a sermon on the Church of Laodicea. So blessed to come across your articles and discover someone who views things from a GRACE position. Good to meet you and thanks for the feedback. I’m glad you got something out of the Laodicean series. Writing can often be a hard slog, but it was such a thrill putting that series together. Definitely a case of writing out of the overflow! God bless! Your material is excellent and very timely,since the church today seems to be growing ever more “religious”. The pendelum appears to have swung the other way for now,but thank The Lord,sites like yours are sprouting up to offset the ‘leaven’. Please keep the articles coming! I would love to see some material geared towards evangelism-especially of the open air variety,as many are being influenced by materials emanating from certain sites such as The Way of The Master etc. (Ray Comfort/kirk Cameron) which seem to preach/teach a mixture. Stay blessed! I am part of a small fellowship that believes in the Grace of God and the finished work of Jesus on the cross. I love what you have written about communion and I pray that many people in established churches start to hear to true gospel. Other people in our church read your blog and it is because of our pastor that it has been brought to my attention. I will continue reading what you write and sharing it whenever I can. Thank you so much and nay God’s blessings lift you and reveal to you just how perfect you are in God through Jesus. Hello Anne – good to meet you! My son found your site when he googled after hearing his dad make a comment on a verse from a song being sang at a memorial service. You guessed it , the phrase ‘ He gives and takes away’. My husband noticed that the verse doesn’t make sense. I am so glad men ( I generally believe so) are so not religious because we found your site because of that observation !!! For 2 years now, the Lord has been opening our eyes to see how religious the church as we know it has become and He has been teaching us about His love and it has been exciting as well as lonely at times because we can’t find too many who could understand what we are seeing that sometimes I couldn’t help wondering if we’re off the truth. I’m so glad we found your site. You outline the points you are trying to make so well. Thank you for taking time to write. It’s so encouraging to hear that I’m not the only one who notices when lyrics in some Christian songs are not true/based on the Bible, the living Word of God. I always find it curious that someone – the worship leader certainly – didn’t catch it and choose a song that was congruent with Yeshuah/Jesus. I heard Joseph Prince say years ago that the Holy Spirit can’t witness with lies – only Truth: Jesus, the Word. His power is released when we speak Truth/Him. Words are vehicles and we are instruments – of the corruption of sin or of God’s glory. His Word is so rich, His wealth so vast, we can draw on it forever and never reach the end of it! Feed on the Word and drink its living water, indeed! So much of church is formulaic, without soul. No matter how loud the band is or how many times the worship leader and minister say “Praise the Lord” or “Glory to God”, the absence of Holy Spirit power is palpable and leaves me, too, often feeling sad and lonely. It’s good to hear you have experienced the same. Thank God that things are changing: the light is dawning on our hearts, one by one, more and more. Soon it will be daylight! Maranatha! You can find verses in the Bible suggesting that the heart is the part of us that thinks, feels and understands. I’m not sure you can feel with your spirit but then there’s a lot about the spirit we don’t understand. You might say our spirit is that part of us that accesses the spirit realm but Jesus said we’re to love God with our hearts. We love Him with all our heart but worship Him in spirit. Does that mean we don’t worship Him with our heart? Does that mean I relate to God in love with one part of me but worship Him with another part? I think not. This is probably one of those times where it does more harm than good to chop a man into separate bits. I found you looking for stuff about our sinful nature, or lack of it. 🙂 I am from Christchurch, NZ, so very surprised when I read you are a Cantabrian! I am really enjoying your blogs and info. Nice to read something that makes sense and isnt religious. What you said about the sin nature was very well written, and filled in some gaps I had. Nice to have found yr site anyway, and look forward to more interesting articles. Hi Tracy – thanks for writing. It’s always nice to meet a fellow Cantab in these discussion threads. I have been struggling for so very long in my Christian walk. I like so many have suffered from depression, anxiety and just down right turmoil. I knew it was spiritual because I have not had joy for such a long time. Unfortunately, I focused on trying to find out what the depression was all about and looked to books by Christian psychologists. That was a long road going no where. I have been listening to some very good teaching which I know the Lord led me to but I still was feeling lost so I cried out to him again yesterday morning. I googled “walking after the flesh” and found your blog in my search. I I know I have found that many are struggling with the same issues that I am and that you have also struggled with your understanding of grace. I am getting hung up on berating myself. Why have I been so blind for so long? Very diappointed with my life. I have been stuck for so long. Thank you for your blog. I believe the truth I am finding there will put me back on track with my relationship with the Lord. I’m back on track and praising the Lord! Just Keeping my eyes on Jesus and his finished work. I am forgiven and have been forgiven and my sinHe remembers no more. His perspective is eternal! I am looking at things from God’s perspective. Hallelujah. I am breathing the fresh air of God’s grace! That’s wonderful, Nancy. Thank you for sharing. I recently met someone and He is insisting that baptism is a requirement for salvation. Do you have any blog post on this? I really want to understand why some people are putting emphasis on baptism. I understand this emphasis in the way that I understand that faith without works is dead. I would encourage every believer to be baptized in the same way that I would encourage every loving couple to think seriously about getting married. Marriage is not love, it is a public declaration of love. Similarly, baptism is not faith per se, it is a public declaration of faith. But is it a requirement for salvation? Well, today’s Easter. Why not ask the thief on the cross? Exactly what I said to the guy. the theif didn’t get baptized, nor did restitution. but then they argued that the thief was under a different covenant. thinking out loud, then that covenant is better than ours? just by asking Jesus to save me, then saved instantly! no baptism thanks for reply. I would love to read your future post on baptism. will follow you. well said Paul. The thief on the Cross did not have time to come down, be baptized and go back to the Cross to die. I believe baptism is important and we have to be baptized as public declaration of our faith in Christ. But baptism is not a requirement for being saved. We are saved by Grace through faith and it is not man’s result of following rituals. Adding something unto the grace means that Jesus did not accomplish His work on the Cross, thus It would make his statement “It is Finished” false. We know that We he said it is Finished he meant It. Go for it Harry! See the How to Share E2R page for more info. Hi Paul. Thank you for your helpful website. I’ve only read a few things so far, but I’m sure I will enjoy dipping into more of it. I downloaded a book from the free stuff section and recommended it to a bunch of friends. One of those liked it so much and has now placed an order for a load of copies to put in her bookshop! Thought you’d like to know….’give and it shall be given’ comes to mind. Christine. Thanks for the feedback Christine. I’m glad people are benefiting from those free resources. That’s what they are there for. Just out of curiosity, which book did you download? Hello I believe in a Grace message. It’s sad that I only just heard this a little while ago, and I’ve been a Christian for a long time. I love God with all my heart, and I want to please him. I like most people was taught in order for God to forgive your sins AFTER you accept Jesus as your lord and savior….. you STILL have to confess everytime you sin. This of couse makes me crazy because how can I remember to confess everytime I sin? What about the sins I don’t remember to confess? What about if I die before I forget to confess something? What about I commit a sin that I don’t think is a sin, so I don’t confess it? This can’t be right that we have to confess each and every sin even AFTER we accept Jesus as our lord and savior. After we accept Jesus we live under Grace. But since I am just learning I have a hard time explaining it to people. They bring up some scriptures and I don’t know how to answer them accept to say Jesus has forgiven ALL our sins if we accept him as our savior and lord. We don’t have to keep asking for forgiveness over and over and over for something that Jesus ALREADY did. But I want to know how to answer certain scriptures when people ask. Like the prayer in Matthew that says we ask God to “forgive our sins” when we pray. And that if we don’t forgive other people, then God won’t forgive us. When people ask I don’t know how to answer that. Can you please expain these verses in terms of Grace. Thank You. I have written more posts on this scripture than any other. (Check out the archives.) I suggest you start with this post and then read this one and then check out this graphic. 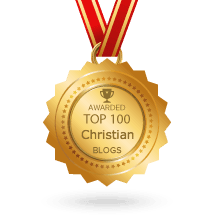 I love your blog because it is so encouraging and uplifting. I’ve enjoyed Joseph Prince’s teaching also, but after hearing his messages daily for a long time, I realized that I never heard him speak on the Bible teachings where the Lord is repeatedly requiring that we must not only show repentance for our sins, but we must repent and TURN from that particular sin. I have been a Christian for many years, and feel grounded in my belief, but it makes me feel concern for the non-believer. Is it fair and who will be held accountable for those who are receiving only part of the redemption story? There is NOTHING more precious than God’s grace, and it is the most important gift that we will ever receive. Do you believe with your vast knowledge of the Bible that we don’t have to follow the teachings of Jesus and ask forgiveness of our sins? Hi Brenda, thanks for your comment. Do I think we need to repent? Absolutely, but repentance may not mean what you think it means. I think the emphasis on turning from sin is misguided. It’s actually a work of the flesh. Am I against sin? Of course! Should we turn from it? Of course! But the important thing is that you turn to Jesus. Whenever you turn to Jesus you’ll inevitably turn from sin. And if you’re thinking about those scriptures on confession, read this post and check out the links at the bottom. Sunday 19/11/12 during a developing theme in worship on ‘no condemnation’ I quoted Jn 3 17 and asked the question – Why is it that the people who should not be condemned, appear to live as the most condemned….. racking up how much time we read our bibles, spend more time praying, give more of our financial resources ,yet still feeling not enough is done for God to be happy . Suggested we were more focused on Jesus presents instead of His presence. Felt a bit like Elijah ‘Am I the only one to beginning to understand grace’. You can imagine the surprise when on Friday23/11 Amazon emailed recommendation for The Gospel In Ten Words. Read the first chapter and it blew my mind. Sunday 25th quoted from the 1st chapter. I just love trusting and resting in Jesus – the less done gets more achieved. Thanks for a brilliant book and web site. Admit I am mulling over my understanding of unconditional forgiveness particularly forgiving myself. Hi David, it sounds like the Holy Spirit’s doing something wonderful in your life! Like Julie, I find it hard to find a local church that teaches Grace. I’m also very disappointed about the heat that Grace preachers like Joseph Prince take. I think it is SO unfair. I came across this link from a complimentary comment Paul wrote about J Prince. The Grace message has changed my relationship with my Lord Jesus in a profound way and I look forward to following this site. Thank you Paul. Good to meet another West Aussie who loves grace, Joan. Hey Paul, I just want to say how much I enjoyed this blog. Thanks Michael. I am learning every day too. Paul – my sister is going through one tough situation after another. I have attempted to explain the goodness of God and that God does punish us. She is a Christian but maintains that God is sovereign so if he doesn’t stop some bad thing then he allows it, so he’s responsible. Can you help me help her? My post, “Is God sovereign?” may be helpful. Hi Paul. I have a certain friend who is convinced that she has not been sanctified, that even though we are saved and won’t go to hell, God still wants us to follow the law so that we can “sanctify” ourselves. Any tips? Yes, preach the undiluted gospel of grace and pray that they will come to believe/see it. Just found your blog today. To say that I have been on a quest to know the truth of who God is for the last five years would be an understatement. Every illusion and lie of Satan has been shattered. There are no words to describe the freedom and love I now know in reality. My husband and I have been married almost 40 yrs. We now find ourselves in the spring of our lives for the first time. The beautiful truths concerning our loving God and how He sees us were made known to us by the Holy Spirit after leaving mainstream Christianity and living “outside the camp.” I see sin differently and am full of compassion on those who participate with it in any form, knowing how much they are loved by their Heavenly Father. There is so much more I want to share with you, especially about the journey we have been on since our younger daughter chose the gay lifestyle over 10 years ago, but I cannot do it in 250 words. For anyone who might read this, I just want you to know that our God is faithful. He is after our heart. Once He has that NOTHING IS IMPOSSIBLE. Hi Nancy, thanks for writing. Feel free to share the longer version of your story on a special page called Grace Stories. Greetings. I see you care deeply about Truth. What are your thoughts about the teachings of Joseph Prince? I have written numerous articles on Joseph Prince and his books. You can find them in the Archives > Subject Index. Church? – what i do find is that the preachers or guest preachers are not interpreting the bible correctly and sometimes tend to take scripture out of context. This becomes increasingly more evident, when my teaching over time has been pure Grace, Joseph Prince, Creflo Dollar, Max Lucado and last but NOT least, Paul Ellis. What does one do? definitely no arguments about doctrine, but for me, discard that which does not sit right with my spirit and allow God to love me more and more. I have read your posts about grace and everything. I’m impressed and blessed by your teachings! Thank you. Paul, I am half way around the world from you. Living in Iowa in USA. I was looking about Grace and stumble on to your sight. Grace is such a wonderful gift. I serve two small little churches and lead worship. I have bookmark you site to read and mediate on what I discover. Thanks for sharing on your faith journey in life. Hey bro Paul! Thank you for this great work! I have been steering many soul ships your way for last 4 mths. Could your site be Free? Perhaps give our new souls Out of the Jungle free like Jesus without asking for conditions. email info etc. Just a breath of what you share soo well!!!! Freinds dont want to read when pushed to give email info. Jesus is smiling and opening Eyes, Hearts and most important Souls. Release Out of the Jungle on Homepage if possible. I was desperately looking and surfing in internet for grace messages and found here. It is very much blessed. Nuggets of truth are available here. Really appreciate the efforts. Thanks Paul!!! I am seen so many so called “prophets” on Christian TV trying to be an Old Testament Jeremiah type Prophet. In your opinion, what is the difference between the Old Covenant prophets and the New Covenant prophet? Old covenant prophets point to your sin; new covenant prophets point to Jesus. Hi Paul, I am from Hong Kong and current a student in the U.S. Stumble on your blog today and I truly enjoyed your sharing. May God use you for His glory. Praise Him and happy new year! Hi Paul. I just wanted to say that I’ve been visiting your blog for a couple months now and I want to thank you for the work you have done here. I am very appreciative about hearing the grace gospel again. Like so many others, I lost a sense of God’s grace. After many years of being a born-again believer. I started to feel like it was “damned if you do and damned if you don’t.” Not much freedom between those two places. At a time now when Jesus is seeming to be marginalized by so many, it’s wonderful to be having my focus once again placed on him and removed from myself – well, at least somewhat at the moment. I have had some days where I have begun to again feel “his” great joy and love returning to my weary senses. Like another commenter said, I too wish I could have these articles sent to me about three decades ago. Hi Dr.Paul, I subscribed for the email, but I haven’t got my Grace free e-books! And secondly I’m studying in Russia, and I wished to read your book collections, so How could I purchase them? Regarding the Grace Pack, see this. All purchase options for my books can be found here. I believe Wordery.com ships to Russia. You will find some relevant articles in the Archives > Subject Index under communion. Thanks. Your answer is the only one that makes sense given what Jesus accomplished at Calvary. I was put out of a Pharisaical pentecostal church which I had fully supported for 30 years as a result of beginning to get a glimpse of the fullness of grace and fullness of truth that is only found in Jesus Christ and starting to share that with my brothers and sisters there. Consequently, your point of view is very helpful to me and I want to thank you for all the efforts you have made in publishing a biblical view from the starting point of Gods grace. I hope to be able to share with you in the future as I consider the things you have put forward. Hi Miles, you can find my answer here. Hi Paul, I’m back from the other post. Do you hold to the “outer darkness” view that Bob Wilkin holds to? I don’t need the answer to the other question, because I did read on your blog that you hold to the change of mind definition of repent. I agree with that. I don’t believe in the outer darkness view simply because Jesus says we will forever be with Him after the rapture, so we will all be coming back to earth with Him to reign for 1000 years. No believer will be left in outer darkness. If you could elaborate, that would be great. just read your words above. it is true we are saved by grace but repentance is required of the sinner. true repentance includes conviction to live life the way our lord and savior showed us by his life: totally obedient to god’s law and that is why he is pronounced sinless. though we cannot completely live our lives without breaking his law, (that is why we need our savior to save us and continually advocate for us) god promised that jesus’ blood will wipe away our judgment if we confess (admit) our transgression and endeavor with his help not to live in sin. for this reason, i believe it has lead to gross false teachings and practices that god’s word was divided into two and re-named “testaments.” testaments are mere statement of witnessed facts or intentions of one side. what we have with god is “covenant” which requires all parties involved to fulfill their obligation expressed in that covenant. god said if you do my commandments, i will be your god. god commands believers, his people in covenant with him that we carefully obey his law, neither adding nor subtracting to it. this is not being legalistic. this is how we show our gratitude for his overwhelming sacrifice of his son who gave his life that we may have life. this is how god expects us after he brings us into his kingdom of light out of the kingdom of darkness. perhaps you have addressed this in your other blogs. i am praying you have. I do but there’s not much on it. I’m a writer more than a talker. This blog you are reading gets far more of my attention. Grace Vs Law I desire to know the truth and more so understand. You’ve come to the right place, Martin. I love what you are doing Paul. Thanks for giving sinners with poisoned minds what they are looking for – grace. Thanks for givings saints with what they are looking for too: grace!